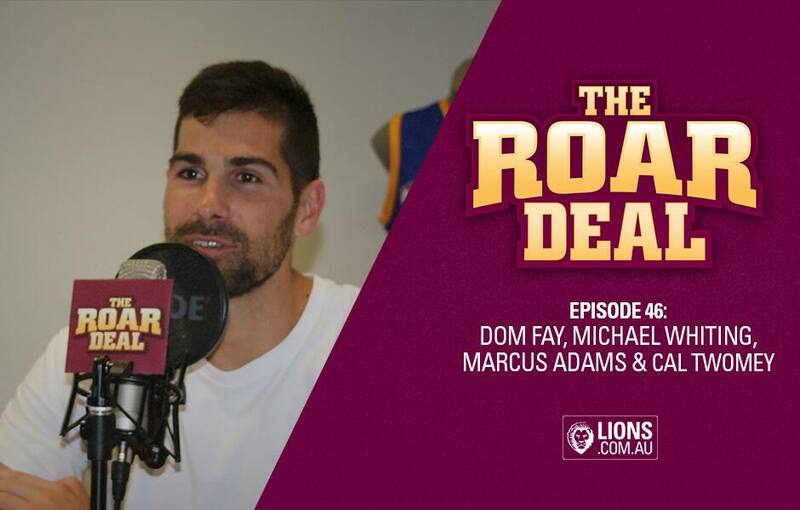 After his first pre-season session with the full playing squad, new recruit Marcus Adams headed into the Roar Deal studio for a chat with hosts Dom Fay and Michael Whiting this week. With only days until the 2018 AFL Draft, respected guru Callum Twomey also called in to discuss the draft hopefuls on the Lions' recruiting radar. Adams joins the podcast (6:40). Adams discusses fitting into a new club (7:30). Adams chats about living with Dan McStay during his first week in Brisbane (8:25). Adams discusses his decision to move to Brisbane (9:45). The players who have been most welcoming to Adams (15:50). Adams discusses where he hopes to play in 2019 (16:40). The training ethic of young players such as Eric Hipwood and Harris Andrews (18:00). The infectious personality of Rhys Mathieson (21:30). Adams chats about what he does on his days off (24:20). Adams discusses his interest in psychology and reading (26:00). Playing for the Western Bulldogs and their 2016 premiership win (33:00). The first full-squad training session with the Lions on Monday (37:20). Twomey joins the podcast via phone call (46:45). Twomey discusses possible draft hopefuls for the Lions (48:15). Fay, Whiting and Twomey discuss where Charlie Cameron's brother Jarrod may be heading in the draft (50:10). Strategies around drafting siblings or close friends (52:00). Lions Academy player Connor McFayden chances in the draft (54:10). Live trading during draft (56:00). Interesting draft prospects to watch on day 2 of the draft (57:00).